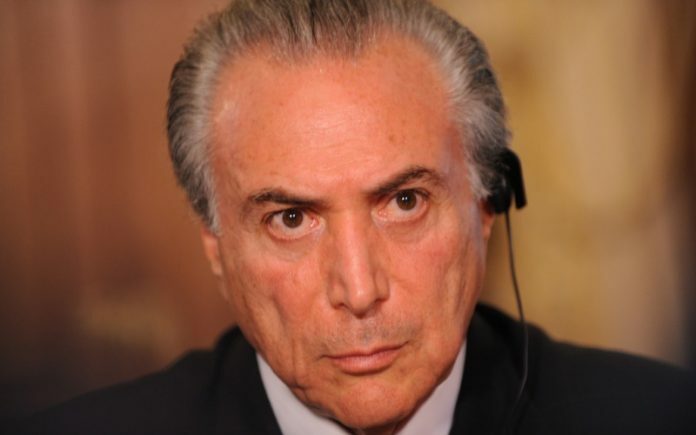 Home News & Analysis Latin America Why Is Brazil Pushing Ahead With Contentious Pension Reform? Why Is Brazil Pushing Ahead With Contentious Pension Reform? Unsustainable pension spending in Brazil threatens to devastate Brazil’s economy. To save the nation from going bust, President Michel Temer proposes a controversial reform package. After the impeachment of Dilma Rousseff, Temer ascended to the presidency promising wide-scale economic reform. Temer has since unveiled a Private Partnership Investment Program (PPI), which seeks to lift Brazil dramatically out of recession. On March 7th, the fiscal plan gained momentum following the unveiling of 55 privatized infrastructure concessions, with investments valued at $14.4 billion. The hope is that a sweeping privatization program will encourage a boom in investment and public spending. As of yet, Temer’s policies have not resulted in a tangible economic recovery. The release of GDP figures for the last quarter of 2016 shows an economy in disarray, in what has become Brazil’s longest recession. 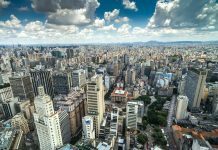 According to the Brazilian national statistics institute (IBGE), the final three months of 2016 experienced a GDP drop of 0.9 percent, marking it the eighth consecutive quarter to registered contraction. For the full year, Brazil contracted a total of 3.6 percent. Finance Minister Henrique Meirelles, stressed that Q4 2016’s GDP shrinkage was a reflection of Rousseff-era policies, and suggested an optimistic turn-around in 2017. Similarly, Brazil’s central bank predicts growth in both 2017 and 2018, with a GDP expansion of 0.49 percent and 2.39 percent respectively. Such optimistic analysis has done little to quash apprehension and dissatisfaction among a large segment of the population. The blemishes of scandal and recession have severely tested Temer’s support-base. Temer argues, holding hand to heart, that he has prioritized political and economic reform over his popularity. However, with an approval rating of ten percent, the president wavers precariously at the edge of a precipice of political oblivion. Most crippling to the Brazilian economy is the state’s current spending on pensions. 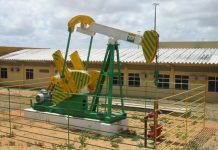 Presently, this looms at 12 percent of GDP, with analysts predicting an increase to 25 percent by 2060. With the state of Rio supporting more public sector pensioners than active civil servants, and citizens collecting pensions at the average age of 58, the system, if unchanged, will remain a ticking time-bomb for future generations, and will see Brazil’s expectant economic recovery implode with disastrous consequences. 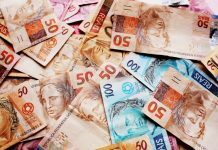 The country’s long-awaited, yet controversial, pension reforms could prove vital in lowering the country’s debt and placing Brazil on a sustainable path to economic recovery. Mario Mesquita, Itaú Unibanco’s chief economist, declared that numerous measures were necessary to lower Brazil’s debt, “but without the pension reforms, nothing is sustainable.” If the pension reforms are rolled out as planned, Mesquita predicts a GDP growth of as much as 4.0 percent in 2018. Temer’s proposed reforms have seen waves of people rise up in defiance of a change that could radically alter the fate of Brazil’s rapidly ageing population. Opponents say that the measures will strip citizens of their constitutional rights by restricting access to social benefits. The measures include setting a minimum pensionable age of 65 years, obliging longer years of service before claiming, reducing widows’ benefits, and allowing for future rises in the retirement age without requiring constitutional amendment. The bill, once placed in the ring, will need to satisfy members of both the lower and upper houses of the national congress to pass. The proposal needs support from three-fifths of the lower house, and if approved, will advance to an upper house vote requiring a minimum of 49 of 81 senate votes. Eurasia Group, a political risk consultancy, gives the reform package a 70 percent chance of passing. Pensions analyst, Paulo Tafner, predicts that the reforms will encourage a short-term boost to the economy by prompting the central bank to reduce interest rates faster, giving investors greater encouragement and opportunities in the stock market. It remains to be seen if Temer’s pension reform package will result in a tangible economic recovery in the short-term. Nonetheless, if passed, predictions favor recuperation as the likely outcome. Undeniably, without reform in some capacity, the existing pension system’s fiscal burden will devastate Brazil’s economy in the long-term. Without reform, Brazil’s current recession will be but a quiet breeze in a worsening and volatile economic landscape. As the country’s fiscal accounts become further limited, the breeze will become an impending storm.